Grand Island is an extraordinarily beautiful wilderness island in Lake Superior. 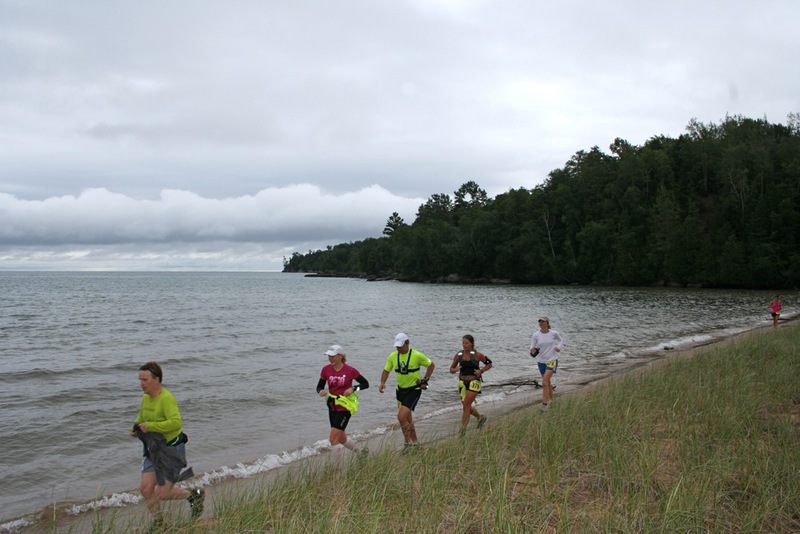 The course follows the perimeter trail of the island counterclockwise up past Murray Bay and Duck Lake. 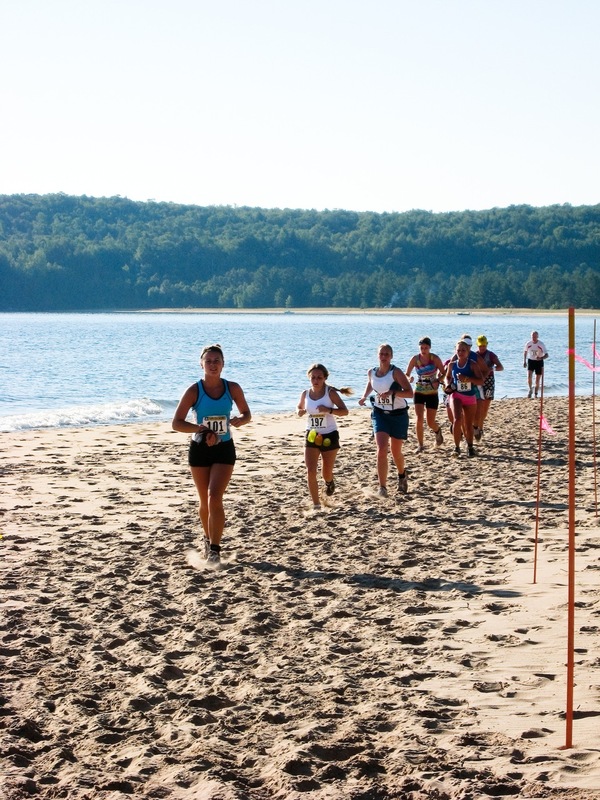 At three miles the course heads eastward into the Tombolo, up into the island's thumb and then back along Trout Bay where runners can enjoy one of the most spectacular stretches of shoreline anywhere in the Great Lakes. 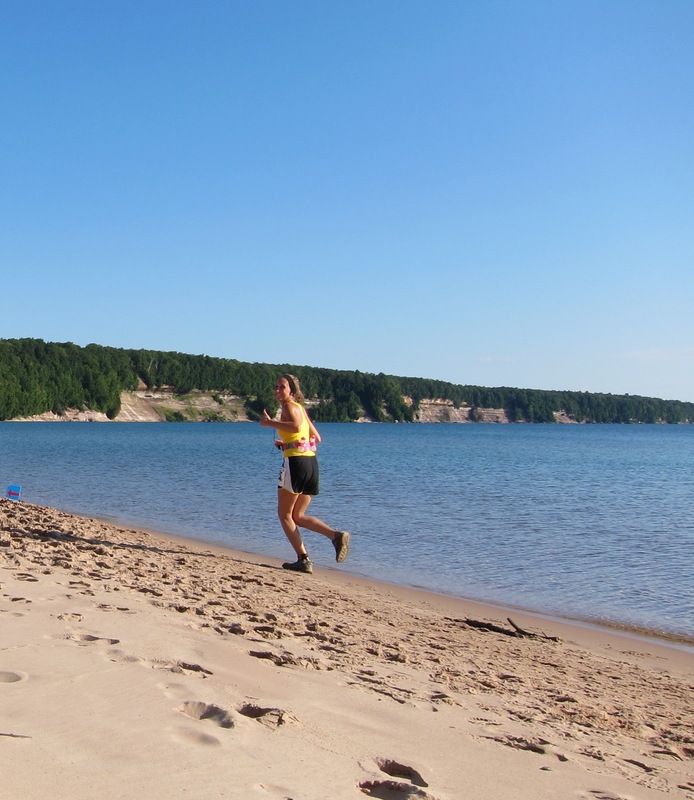 Runners then head up the eastern shore of the island which treats runners to views of the Pictured Rocks National Lakeshore. The northern half of the island features 300ft colored sandstone cliffs and the remote and exquisitely beautiful Northlight Beach. 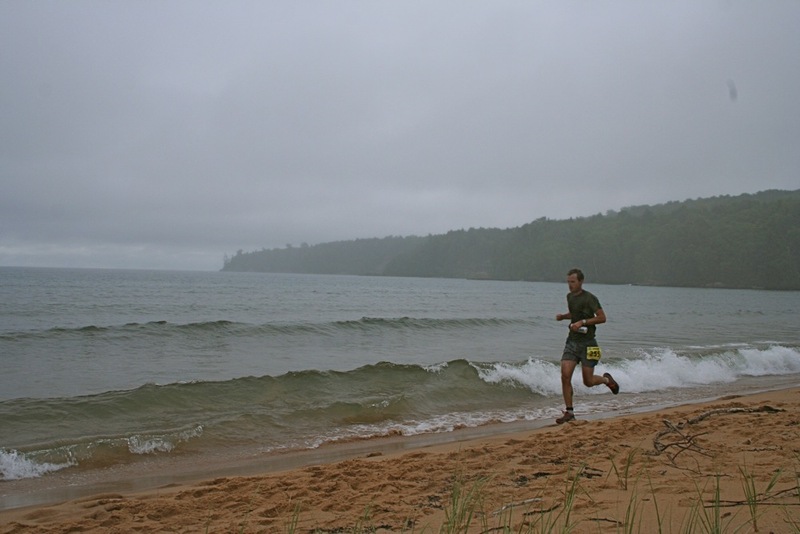 The return trail on the islands western shore features remarkable vistas of Lake Superior. Runners in the 50K will head inland at mile 22 on a trip past Echo Lake and up to the island's summit and then return to the marathon course at mile 27. Much of the trail is shaded by lush hardwood forests. 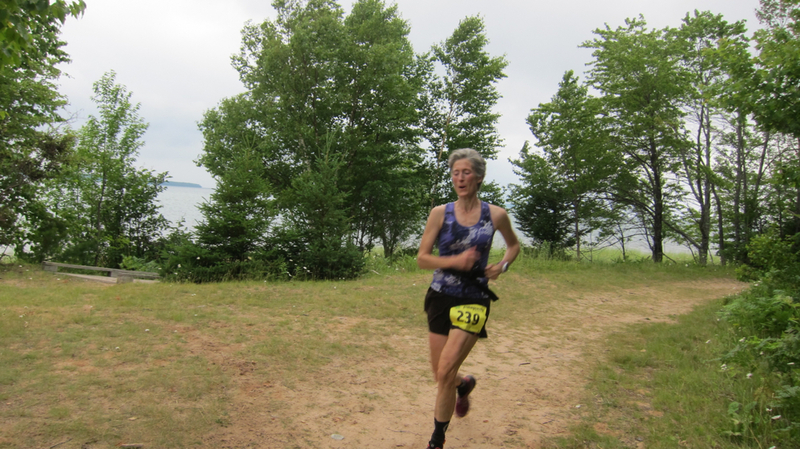 Exposed sections (atop cliffs) blanket runners with cool breezes off of Lake Superior. Trail includes single track, two track, and narrow dirt roads. 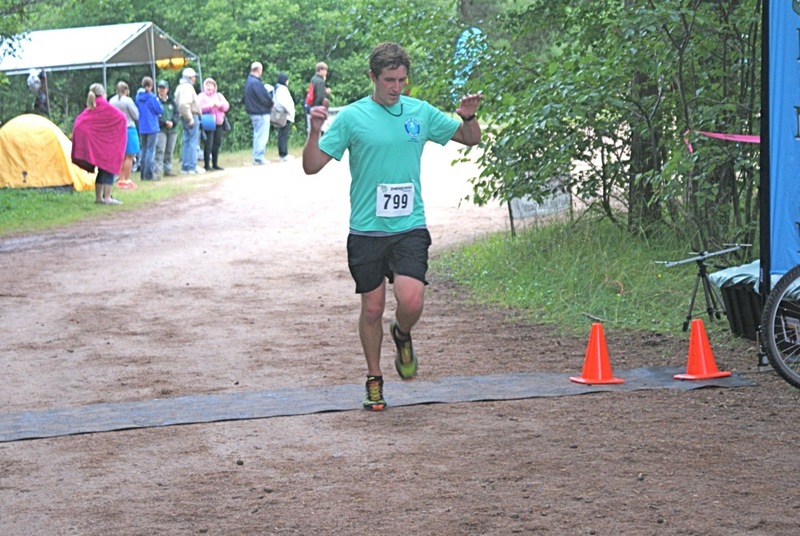 The course is measured via GPS (+10ft). Each mile is marked. 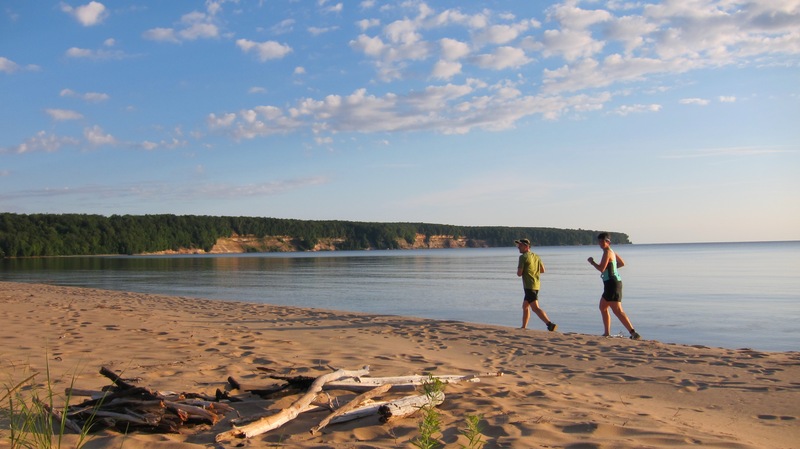 The half marathon course is a scenic loop that takes runners northeast up along Murray Bay and Duck Lake and then heads eastward into the tombolo. 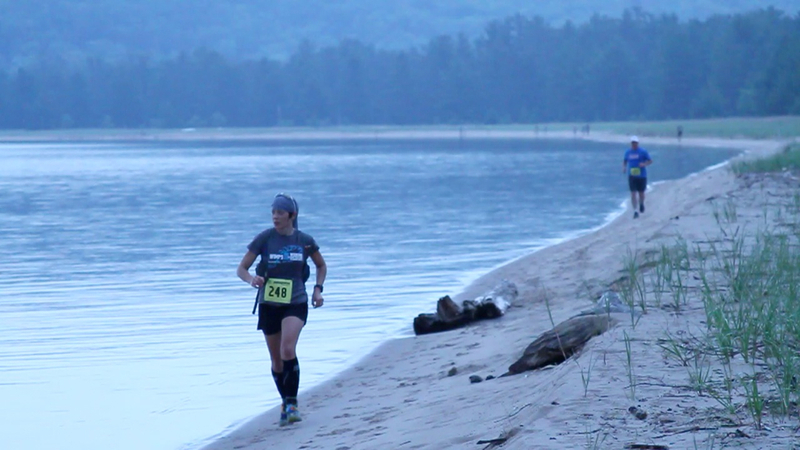 At four miles runners head back westward on the Trout Bay Beach. 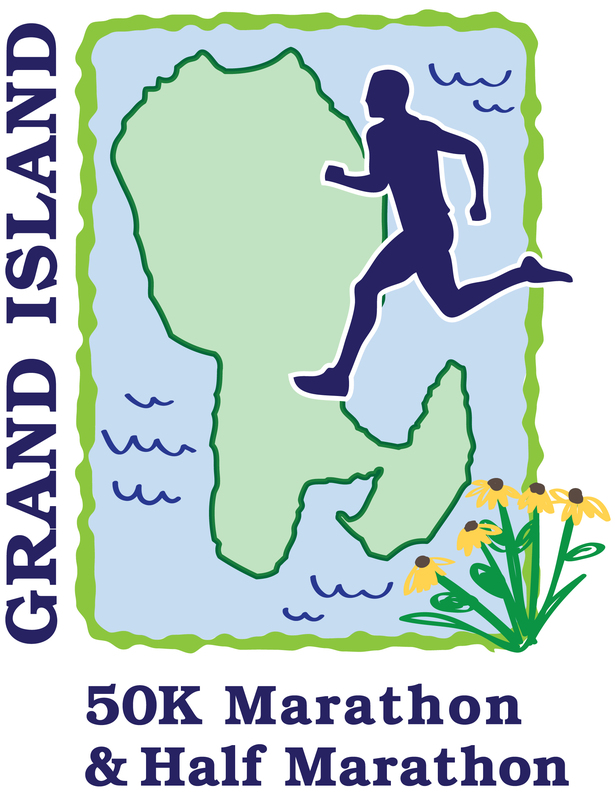 Runners then ascend inland to the heavily forested highlands of the island's interior. 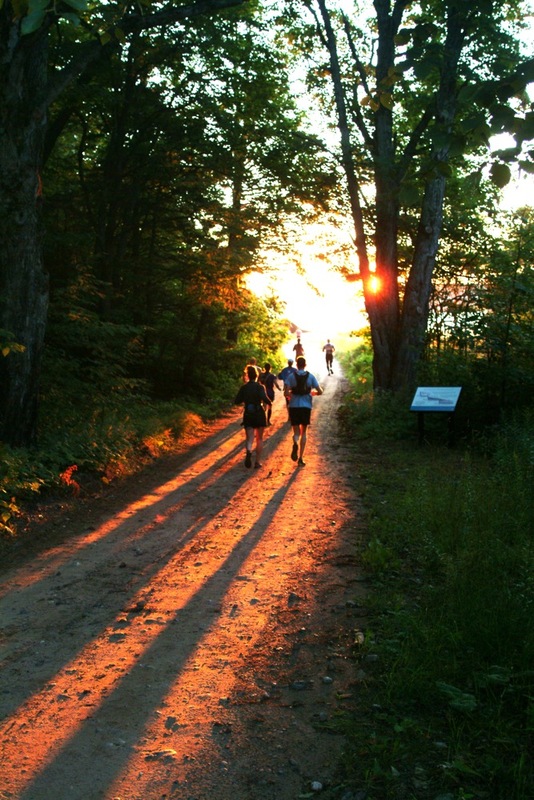 When runners reach Echo Lake they head toward the western coastal trail and rejoin the marathon course (22 mile mark of the marathon). The remainder of the course follows the west coast of the island on a gradual downhill back to Williams Landing and the finish. 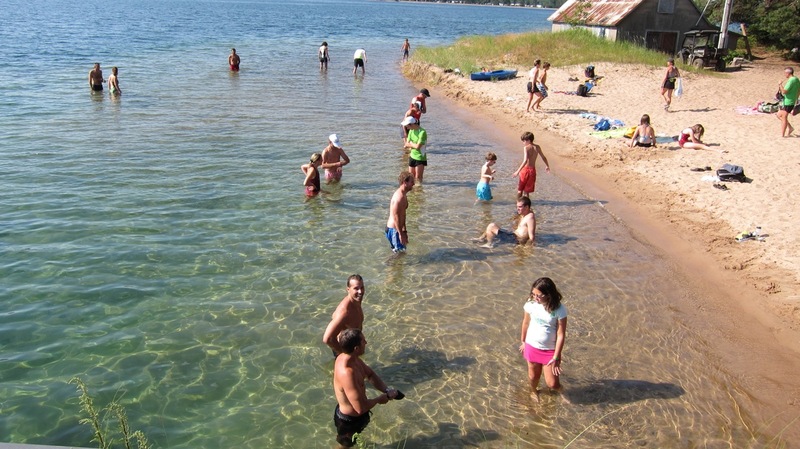 Runners are transported by shuttle bus from their hotel or campground to the ferry boat dock. Shuttle bus schedule available at www.greatlakesendurance.com and at packet pick up. Ferry boat ticket also serves as shuttle bus ticket. Ferry boat ticket is included with entry fee. Extra boat tickets for friends and family can also be purchased at packet pick up. Friends and family can leave on later boats.